Many of you have told us you’d like to create new geographic data using the data built into the geocoding database. And I am excited to announce you can do just that in Tableau 10 with our new custom territories! Let me explain how it works. The first thing to know is that there are two ways you can create custom territories: by using groups or by assigning a territory field as a geographic role. Simply select marks on a map to create groups. Rename your groups to represent the names of your territories, and remove the lower-level geography from the viz. Voilà! Your custom territories will render on either a point map or a filled map. You can use the Edit Groups dialog to easily move features between groups. You can also turn “Other” on or off, depending on what you want to see in the viz. When assigning a field to be a geographic role, you simply need to choose another lower-level geographic field to aggregate on. 1. Show sales territories: Sales territories are often built on low-level geographies like zip codes, with groups of zip codes defining individual sales territories. It’s now fast and easy to construct these in Tableau. 2. 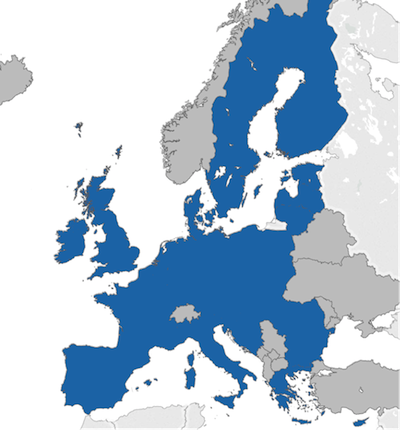 Group multi-national regions: Do you want to make maps of multi-national administrative regions? No problem. You can now represent the European Union with a single mark. 3. Aggregate postal codes: Use calculations to create three-digit zip codes in the US and postal code areas in the UK. 4. Compare geographic territories: Leverage this feature’s exploratory power. Examine what-if scenarios at the regional level. Compare geographic territories with ease. Custom territories can be used with blending and data integration, so if your business data lives in another table, you can still visualize the data you want. Custom territories will work on point maps and filled maps. 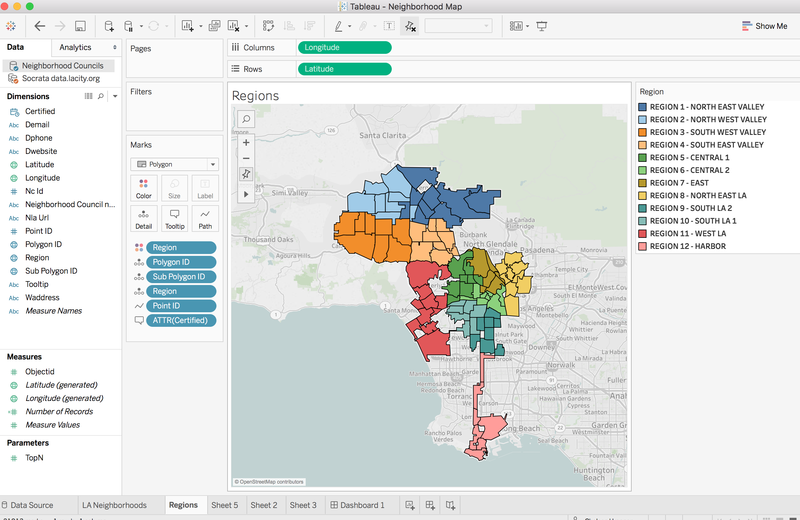 That means you can build proportionally-sized symbol maps and choropleth maps, just like you can with built-in geocoding data. You might be wondering about the difference between custom territories and groups. You’ve been able to group in Tableau for years, but those groups always sit on top of the base unit. That’s not the case with custom territories. You can build your own territories, and then use those as your base analysis. Under the hood, this feature is pretty complex. Imagine hundreds or thousands of polygons being unioned together, then dissolved to remove interior borders from adjacent polygons. Tableau is generating point centroids on the fly at lightning speed to keep you in the flow of your analysis. We’d like to thank you, our community, for helping us build this powerful feature. Your suggestions and votes on the Ideas Forum helped guide our work. As you know, your feedback means great deal to us. Speaking of your input, we’d love your thoughts on the Tableau 10 beta! We have a timeline for getting Tableau 10 out the door, but we’d first like to get solid usage in beta and fix any bugs. We want your feedback as early as possible to catch any issues and ensure the new features are great. If you haven’t yet, check out our beta program to learn more and sign up. The beta program is available for existing Tableau customers. Customers with an active maintenance license can upgrade for free when Tableau 10 is released. Right now, I don't see the ability to create a parameter between a county map and a custom boundary map. For example, I created a group called "Groups of Counties". I then created a string parameter with "County" and "Groups of Counties" and a calculated field with a case statement that picks either the County or Groups of Counties dimension depending on the parameter. When County is selected it works fine, but when Groups of Counties is picked it does not. If I drag the Groups of Counties dimension to detail it works fine, but not with the parameter. Awesome features! Looking forward to the release. Quick question - what software do you use to capture the nifty video snippets that shows the drag and drop. It is an excellent way to setup training for Tableau! Thanks for the feedback. To answer your question about the "video snippets", I used QuickTime for Mac. If you're seeking a free app, gifcam works great for a lean gif capturing app. I don't work for the company, just love the product! The ad-hoc grouping is available now. The territory based on another field is coming in Beta 4. Regarding creating the territory from another field: is there a way to also get County into the options of what geographies you can create from? I only see Country, City, State, and Postal Code. Thanks! Is there a way to aggregate multiple zip codes into a few territories like this in 9.3? Or detailed instructions on how to aggregate based on the first 3 numbers of a zip code? The goal is essentially a territory map for a US metropolitan region where each territory combines several zip codes. Thank you! with the great intelligence that you put in tableau 10 maps I sens that you could make available a function that joins/connects or at least groups data based on distance? It's just like the sales territory example except that our "Regions" are made up of Neighborhood Councils (the polygons), rather than zip codes. I tried setting region, polygon ID, and sub polygon ID as geographic roles but don't see the little plus sign. Thank you! This feature looks incredible! Thanks for paying attention to the mapping fans! One suggestion for future releases. In order to make it 100% flexible, you should allow us to upload geojson, shape files, topojson or WKT. This is how "the unnamed company in Redmond" handles custom geos. We deal with shapes that aren't directly based on some lower level geo, so we'll have to continue hacking into geocoding.fdb and inserting our own rows. Which, by the way, works really well :). If you're seeking a free app to capture your clicks, gifcam works great for a lean gif capturing app. I don't work for the company, just love the product! can't you give the step by step? or you dont even bother with that? maybe because it doesnt work? i hate these sale speeches that dont deliver. we are all switching to clickview. BETTER. I'm happy to tell you that the feature works and works well. You're right, not all of the details are in this blog post, but you can see step by step instructions in the Help. Here are some helpful links. Feel free to reach out to your account manager if you're having problems. I can help you resolve them. Good luck with that "Clickview" support. I am in the US Navy and do analytical work. I am trying to create geo fields that allow me to break the oceans into separate polygons. Does Tableau recognize bodies of water/names? How do I develop my own "ocean" boundaries?